Well, it's time for this campaign to get going. Welcome to the Hot 1950s in the Cold War Campaign. The campaign will run from 29 October (the anniversary of the start of the Suez Campaign), 2018 through 1 May, 2019. Looking forward to some great builds remembering the not-so-cold wars of the 1950s! And don't forget, we still need a ribbon for this one. Any ideas? That is very original ribbon. I like it. I haven't got my graphics program on my work computer, but what about a ribbon of Suez stripes? They're simple, bold and easily adapt to ribbon size. The thermometer ribbon looks fun, I like it. I'll probably buy PE set for headlight guards. Originally I wanted to build Israeli Spitfire, but I couldn't find any documentation whether the decal choices I have were actually used in combat in 1950s. 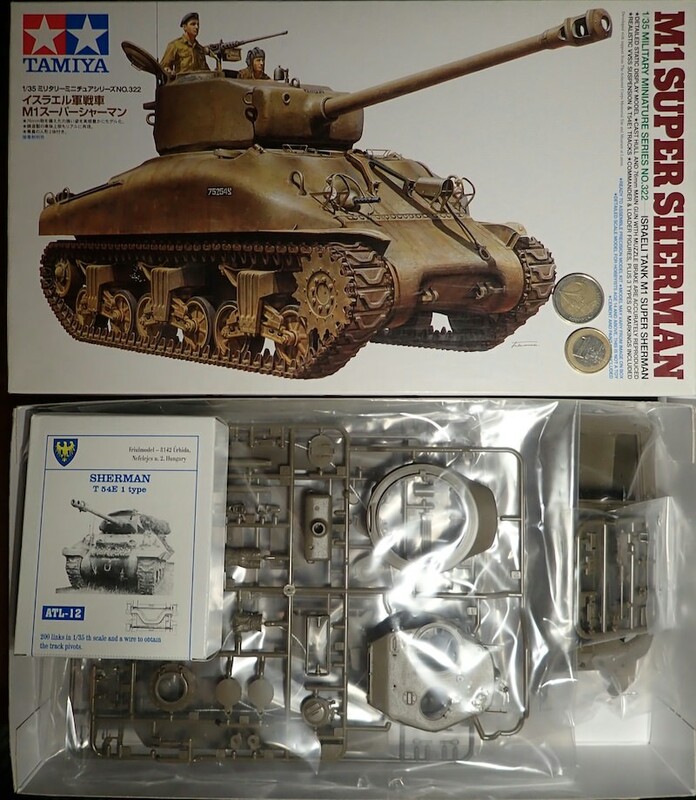 The M1 was my backup, and I believe it will be a nice kit to build. So here is my entry for the campaign. Not sure yet if the camo will be for Marines or Navy, both got heavily involved during Korean war. I have quit my job, so hopefully this build will go quick! Quitting your job seems like kind of an extreme length to go to in order to get a model done! @Jacob, I hate you, I've wanted that one in 1/72 since the last time I saw "The Bridges of Toko-Ri"
Another campaign I'm behind on and it just started. Haven't decided between a Korean Corsair, F-80, or a possible Suez Gloster Meteor. I'd love to do the Meteor, it's 1/144 but I think the plastic is a Mk IV and the decals are for a Mk VIII. Could anyone tell the difference??? Oh yes. The Mk 8 Meatbox had an entirely different tail and a longer fuselage. All is not lost, however. Miniwings does a Mk 8 in 1/144. 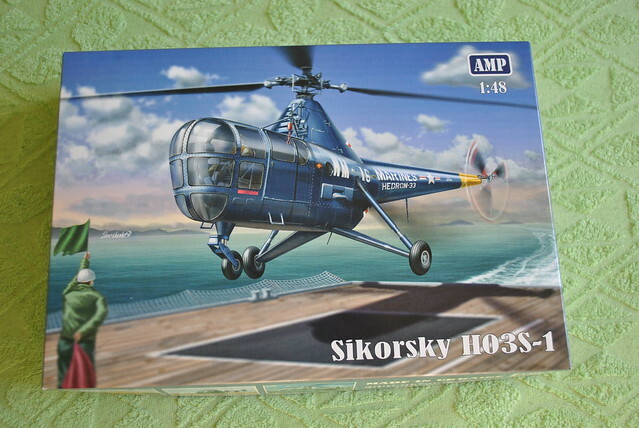 In larger scales there's the Hannants/MPM/Airfix 1/72 and Airfix 1/48 kits. Ah Scrap I got the Hong Kong 1/144 Meteor in a goodie bag at at model convention but it didn't have any decals. Finding 1/144 RAAF/RAF decals on this side of the pond is a bit problematic. The F-80 is starting to look like a go. i've a lot of planes in my stash who fought during the korean war, the malaya incidents, the indochina war. so it's difficult to choose a kit. i think, i'll make a Beaufighter for the malaya incident and a seafire mk.47 for the korean war. @Mihael : Surely now, who would not quit his job to do models ? , nah Im kidding, it wasnt what it used to be so I figured lets have an "extended" holiday over Christmas. 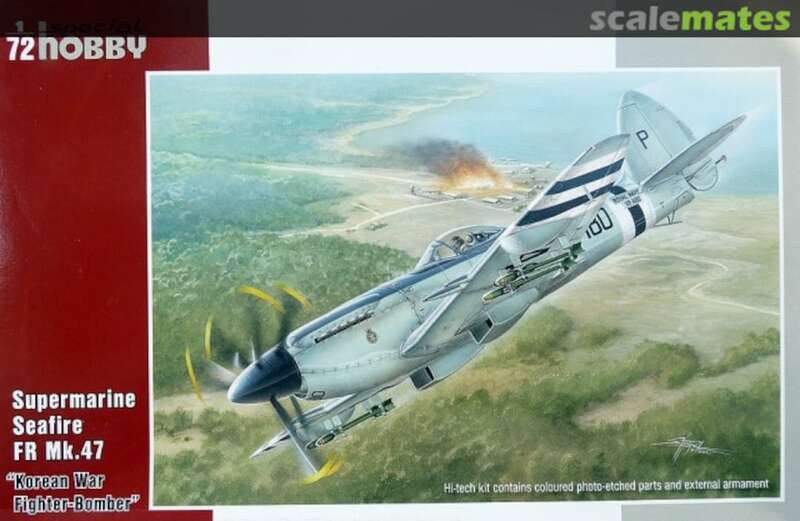 @Franck : Seafire would be interesting for sure, which kit do You have in mind ? Here's the kit I will be building. I changed my mind and decided not to do Jesse Brown's Corsair. 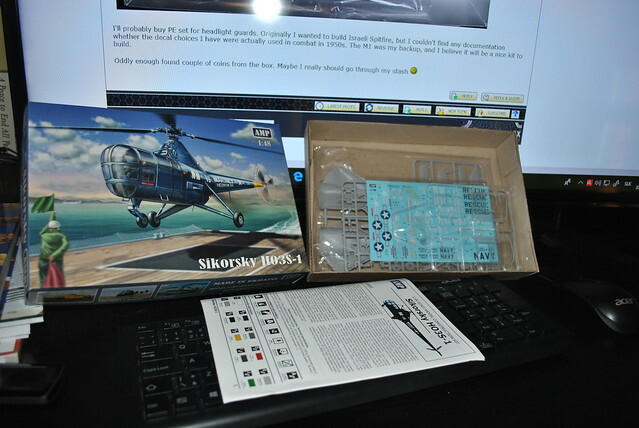 I understand the HobbyBoss F4U-4 is a better kit so I'll build one some day. I haven't decided if I'll use AM parts, I have a cockpit and wheels. Does anyone know if the True Details cockpit would fit into the HobbyBoss kit? It is made specifically for the Hasegawa F4U-4. 1. Why is the campaign running for less than the usual 6 months? 2. Does anyone else have an idea for a ribbon? Just my 2 cents of comments. Darn! And I just finished my F-86F. The answer to your first question is: Because I can't do math. It's fixed now. Don't have an answer to the second one, that's on our Fearless Leader Jacob to decide. I didn't know what to think about #1. I think Jessica had an idea for #2 but I don't know how to do graphics. During my spare time, i've make two ribbons inspired by the suez campaign stripes. No. 2 was what I had in mind. Those stripes look nice. I like it. Any other suggestions ? I think I like the plain (plane?) yellow and black stripes. Didn't know about them in Suez, yellow and black were also used on some 4th Fighter Interceptor group in Korea. Are you ok with the second proposal ?